I was very pleased with the flowers. Just hope they survive this terrible cold weather. The plants arrived in excellent condition and flowered first season. Couldn't be better! My order arrived today and was very happy to see how fresh these bare root Lily of the Valley were, with really well established roots and healthy shoots. They are now all potted up, in a cool place in the greenhouse, ready to be planted out later on in the year. 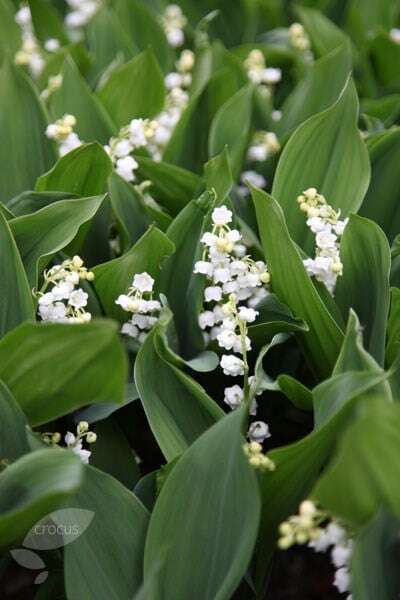 Now that I've finally found a sheltered spot in my garden that Lily of the Valley appear to thrive, I'm looking forward to an excellent display next year. 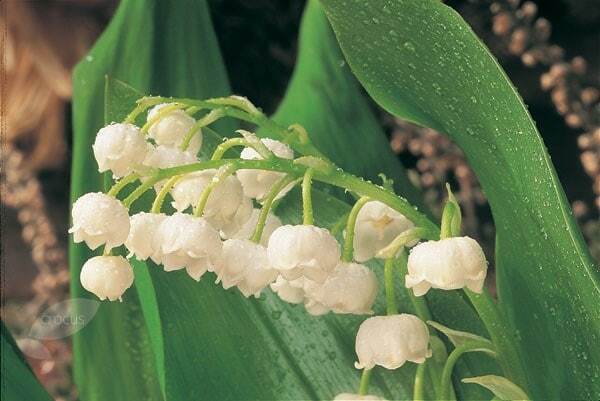 Can Lily of the valley be grown successfully in containers on a shady patio? Hello, These are happiest in the ground where they can spread, however I have often potted them up to enjoy for a year or two on the patio before planting them out in the border. Hello We have just ordered the bare root plants. Do we bury the whole thing in the soil? We are not sure how to handle these. Any advice welcome. thank you. Hello there Yes you plant all the rhizomes or roots 5-8cm deep and 20cm apart in a fertile, humus rich soil. Also you can apply a good mulch of leaf mould or well rotted compost. 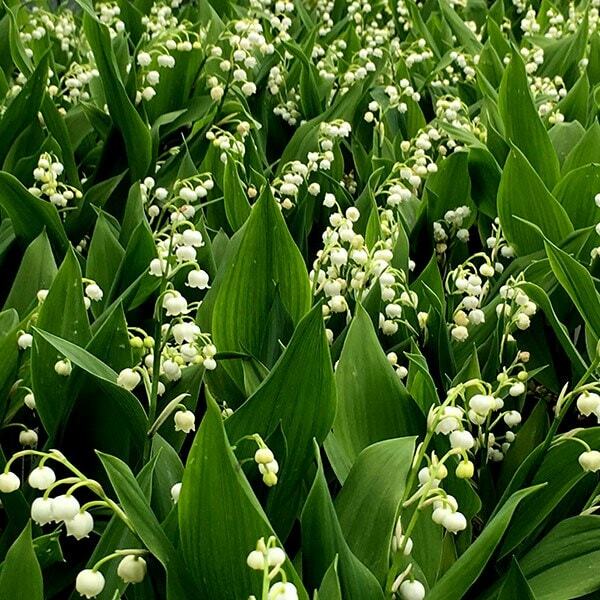 I bought some lily of the valley last year and planted them in a bed against a north facing wall immediately. The area gets a small amount of sunshine in the morning, but mostly shade, and the soil is rich clay with added grit for drainage. I'm hoping it is still just dormant, but when should I expect to see shoots emerging? I assumed if it was Spring flowering, that I'd see something by now, especially as it's been relatively mild this year. Thanks! Hello, The foliage tends to emerge around the same time as the flowers in May, so it is still too early too see any signs of growth. 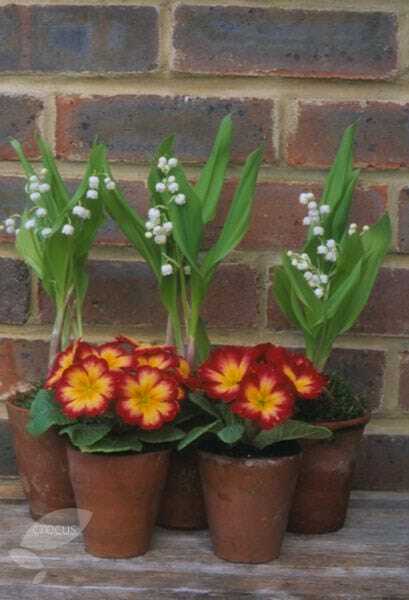 I have divided some lily of the valley from my garden to grow in pots as gifts for next spring. How can I make sure they will flower, as some of the plants come up blind in the soil?